Browse and compare this year’s top July 4th mattress sales from major retailers. 4th of July is a popular time for retail sales on beds and other home items. If you need a new bed soon, this holiday is one of the best times to save all summer—and beyond. The Fourth of July is likely the biggest chance to score a great deal until Black Friday. There’s just one problem. With so many chances to save big, it can be tough to cut through the noise and find what you really want. That’s where this helpful sale guide comes in. Read on to see which retailers are offering great deals. Then compare the different price cuts to see which offers are the best bet for you. Discount announcements tend to roll out as the holiday draws closer. So bookmark this page and check back often. We’ll be updating it with fresh cuts as soon as they’re made available on the best mattresses that we could find. A huge number of brands and retailers are slashing their prices over the holiday. But Amerisleep is one that truly stands out from the crowd. Based online, this brand is a relative newcomer to the mattress scene. But don’t discount them. Amerisleep is quickly gaining a reputation for offering some of the best memory foam mattresses at a great value. There are plenty of good reasons to consider Amerisleep over one of the big legacy brands. Here are just a few of the highlights that make them truly stand out. All of the brand’s mattress offerings have earned highly positive reviews from customers. Amerisleep’s AS3 is especially popular. The bed boasts a versatile design meant to satisfy all sleep styles. It offers support whether you snooze on your back, side, or a combination. So you really can’t go wrong. Amerisleep beds feature Bio-Pur and SMT comfort layers. These special layers create a soft yet responsive feel. This delivers both plushness and maximum support. The beds also have a special cooling layer. This makes them five times more breathable than traditional memory foam. Amerisleep bed covers are made with Celliant. This high performance fabric contains thermoreactive yarn to safely turn body heat into infrared. Amerisleep customers get a generous risk-free trial. Try your new bed in the comfort of your own home for 100 days. If you decide it’s not the right fit, you can return it at no cost. There are other big benefits. As an online brand, Amerisleep has few overhead costs. This means that they’re able to offer high-quality mattresses at an impressive price point. 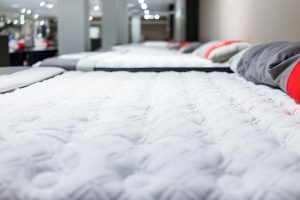 Overall, many shoppers agree that Amerisleep beds are a better value than traditional showroom brands. Of course, you’ll have to see for yourself! And over the holiday the savings are even bigger. Shoppers can score an additional $200 off any Amerisleep bed with the code JULY200. Interested in the AS3? Normally priced at $1,399, you can get it now for $1,199. Later in this guide you’ll find a comprehensive rundown of fantastic holiday deals. But that can be a lot of information for some shoppers. If you just want to cut to the chase, don’t worry. Here’s a list of our very favorite beds that are on sale this Independence Day. Why did these beds make the cut? There were a few things that factors in. All of these mattresses were favored for their solid reviews and shopper-friendly return policies. They also offer a great value at each price point. In fact we’d recommend these beds even if they weren’t on sale. The above picks are just the tip of the iceberg. We’ve worked hard to collect info on tons of mattress sales happening over the holiday. Just make sure that you know what you’re looking for. These beds are some of the best of the bunch. But just because a mattress is at the right price doesn’t always make it the right pick for you. It’s okay to be picky! Our goal is to make this guide as convenient as possible. So we’ve grouped beds by price range. (All prices and specs are for queen sizes.) Keep in mind that some retailers have line-wide sale events during Independence Day. In those cases we chose to highlight one or two of their most popular models. Pay attention to the specifications listed as well. We’ve included the overall mattress height, firmness level, return policy, and warranty lengths. There are also some special notes that vary by mattress type. For innerspring beds: We’ve listed the thickness and type of comfort layers. Also included are the coil count and coil type. For memory foam mattresses: We’ve listed both the thickness and density. Also included are the type of memory foam layers and the core density. As you can see, you don’t need to spend a fortune to find a comfortable bed. These top sale picks are all offered for under $1,000. For shoppers on a tighter budget, they’re all great options. There are plenty of discounts to be found in the mid- and luxury price range as well. Here are the ones worth paying attention to. Holidays and bed sale events seem to go hand in hand. As you’ve already seen, there’s no shortage of fantastic deals this Independence Day. Many retailers are running events throughout the entire week of July 4th. And more are sure to come. Indeed, there’s a lot of competition to lure in shoppers over the holiday. That’s why almost every mattress retailer out there joins in on this massive discount event. That includes household names and smaller brands alike. Think Serta, Sealy, Amerisleep, Mattress Firm and many more. With our handy guide you can find many of these deals in one easy location. Discounts are listed in ads, newsletters, press releases, websites, and other sources. We’re combing through all of these to bring you the most comprehensive list of national offers. Deals are verified to the best of our ability. However they’re always subject to change. We’ve already talked a bit about why we love this online brand so much. Here’s some more info on how you can save on one of their beds. 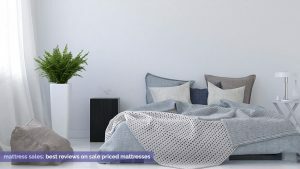 Amerisleep’s sale runs online at Amerisleep.com through 7/4. $200 off any plant-based memory foam mattress with code “JULY200”. Free shipping and free returns on mattresses. Up to 17% off Amerisleep adjustable bed set packages. Online from 6/30 to 7/9. $125 off $1250 or more. $225 of $2250 or more. Queen prices range from $600-$1995). $150 off Leesa mattress ($845 in queen). $225 off Sapiro mattress ($1270 in queen). Online at Macys.com and in stores through 7/4. $197 – Macybed Basics Foam Firm Queen Mattress. $297 – Macybed Classic Plush Queen Mattress. $397 –Macybed Premium Plush Queen Mattress. $597 – Sealy Lawson Plush or Cushion Firm Queen Mattress. $597 – Macybed Lux Memory Foam Barton Cushion Firm Queen Mattress. $597 – Macybed Resort Firm or Plush Queen Mattress. $697 – Macybed Resort Firm or Plush Euro Pillowtop Queen Mattress. $797 – Beautyrest Golden Gate Luxury Firm Queen Mattress. $797 – Beautyrest Golden Gate Plush Pillowtop Queen Mattress. $897 – Sealy Posturepedic Lawson Cushion Firm Queen Mattress. $897 – Sealy Posturepedic Lawson Plush Pillowtop Queen Mattress. $897 – Sealy Posturepedic Shore Drive Extra Luxury Queen Mattress. $997 – Masterpiece by Serta Albert Luxury Firm or Cushion Firm Queen Mattress. $1097 – Macybed Lux Baxter Firm or Plush Mattress. $1247 – Stearns and Foster Garrick Luxury Firm or Cushion Firm Queen Mattress Set. $1297 – Macybed Lux Coventry Cushion Firm Euro Top Queen Mattress. $1347 – Masterpiece by Serta George Luxury Firm Euro Pillowtop Queen Mattress. $1497 – Beautyrest Platinum Chestnut Hill Luxury Firm or Plush Queen Mattress. $1557 – Aireloom Hybrid Firm or Plush Queen Mattress Set. $1757 – Aireloom Vitagenic Copper Gel Firm Queen Mattress Set. $1797 – Beautyrest Black Giada Extra Firm Queen Mattress Set. Online at MattressFirm.com and in stores through 6/27-7/10. These discounts also apply to Sleepy’s stores. $648 – Sleepy’s Firm, Plush or Pillowtop Queen Mattress. $650 – Tulo Soft, Medium or Firm Queen Mattress. $799 – Beautyrest Recharge Hartfield 11.5” Luxury Firm Queen Mattress. $799 – Sleepy’s Cool Plush 12” Memory Foam Queen Mattress. $899 – Beautyrest Recharge Vinings 13.5” Plush Queen Mattress. $899 – Beautyrest Recharge Bay Spring 14” Luxury Firm Pillowtop Queen Mattress. $999 – Sleepy’s Pillowtop Queen Mattress. $1299 – Serta iSeries Hybrid 100 Firm Queen Mattress. $1499 – Serta iComfort Blue Touch 300 11.25” Firm Queen Mattress. $1499 – Serta iSeries Hybrid 300 Plush Queen Mattress. $1599 – Serta iSeries Hybrid 500 Cushion Firm Queen Mattress. $1799 – Serta iComfort Blue Touch 500 11.25” Plush Queen Mattress. $1999 – Beautyrest Black Hybrid Alcove 13.5” Plush Queen Mattress. $1999 – Dream Bed Lux LX150 12” Firm Memory Foam Queen Mattress. Online at Sears.com and in select stores through 7/15. $169.99 – Serta Chiswick Innerspring Queen Mattress. $299.99 – Sealy Response Essentials Cavell Innerspring Queen Mattress. $349.99 – Sealy Response Kenney Firm Tight Top Innerspring Queen Mattress. $562.99 – Beautyrest Silver Wavecrest Innerspring Queen Mattress. $614.99 – Serta Perfect Sleeper Elmstead Innerspring Queen Mattress. $661.49 – Sealy Response India Ultra Firm Innerspring Queen Mattress. $999 – Sealy Hybrid Trust II Innerspring Queen Mattress. 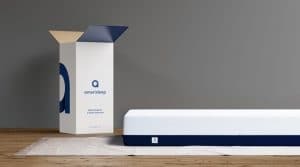 Free boxspring with Beautyrest Platinum mattresses. Free boxspring with Scott Living mattresses. Free boxspring with Serta iComfort mattresses. $200 store card with Stearns & Foster mattresses. $200 store card with Sealy mattresses. $300 store card with Tempurpedic mattresses. $799.99 – Serta Motion Essentials adjustable bed in Queen. 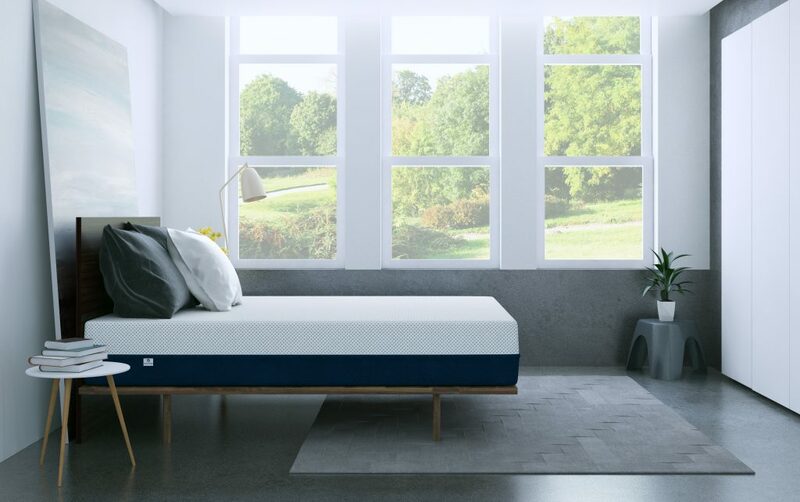 $799.99 – Beautyrest Smart Motion 1.0 adjustable bed in Queen. $799.99 – Ease by Sealy adjustable bed in Queen. Online at Serta.com and in select retailers 6/24 through 7/9. Check the sale listing for Mattress Firm. All promotions now are the same. Online at Tempurpedic.com 6/24 through 7/15. $300 off adjustable bases with mattress purchase (or credit towards accessories with a mattress foundation set). No sales announced yet, check back soon! Practically every brand is offering a discount over the holiday. That doesn’t mean that all of these sales are created equal though. Part of being a savvy shopper means learning to tell the difference between a truly great deal and one that’s mostly fluff. Some companies inflate discount percentages to make their deals seem more impressive. Others may offer low-quality promotional beds that aren’t worth buying at all. Information on specs and materials might also be limited, making it difficult to compare models. Discounts: These are amounts taken off the original price at the time of purchase. Quite a few retailers offer instant discounts of $200 or more on all types of beds each year. Discounts are preferable to rebates because they shave money off the price instantly. You don’t have to shell out full price and wait to get a portion of your money back. Rebates: These are amounts that you get back after paying the full price up front. Customers usually have to send in a receipt or file a claim to the retailer to get re-paid. Then they’ll get back money or a gift card. Rebates and mail-in offers are more common on expensive brands like Tempurpedic or Serta. (These manufacturers sometimes prefer not to discount their products.) Rebates can help you save money. It’s just important to factor in the full price when you’re shopping. That’s what you’ll need to pay when you buy. Bundles: These are discounts on items that are purchased together. Think bedroom sets with a foundation, or a mattress with an adjustable bed base. Other offers could include free or discounted pillows or bedding. Bundles can be a good deal. But only if you actually need all the items being offered. If you don’t, just walk away. Finally remember that these deals don’t have to be either/or. It’s common for them to be offered as a combo package. You might find a rebate or discount along with some free items thrown in. All of these options can be great for shoppers. It just depends on what you’re looking for. Your job is to weigh all the benefits of each potential purchase. Remember to factor in extra costs like taxes and shipping or delivery. You may also need to pay to have your old bed hauled away. All of these numbers can add up. It’s better to know them up front instead of being surprised at the end. One thing is pretty clear. If you play your cards right you can reap some impressive savings during these discount events. That’s true across the board. But there are some things you can do to truly ensure you get the most for your money. And find the bed of your dreams. Independence Day discounts start to roll out towards the end of June. If you’re serious about getting a new bed over the holiday, start your search as soon as you can. Some offers may only be available while supplies last. And products can move fast. Do your due diligence or don’t bother. 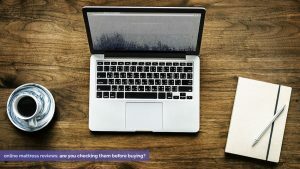 Researching before you buy is key to a truly successful purchase. Don’t spring for the first mattress you see, even if it’s one you’ve had your eye on. There’s a chance that you could find a better sale if you shop around. Take some time to learn about different bed options too. You’ll find hundreds of beds from dozens of retailers out there. Compare features, prices, customer reviews, return policies, and warranties. It’s a little extra work up front. But it’ll help ensure you end up satisfied with your purchase. Get insider tips on the best mattress. See how customer reviews can help you buy a better bed. Don’t just shop in stores. Showrooms aren’t your only option these days. Head online for access to a wider range of products and sales. There’s less hassle overall. And you can shop at your own pace without the pressure of a hovering salesperson. Just be sure to check out the return policy before you buy. It’s especially important when you aren’t able to try a new bed out in the store. Be mindful of your budget. It’s easy to get caught up in the frenzy and buy something that’s over your price range. Don’t let it happen! A good night’s sleep is an investment. But you shouldn’t venture outside of your spending range to get it. There are plenty of quality beds at every price point. Shop around until you find an option that meets yours. We’ve covered all the deals that are currently out there. (And we’ll continue to add more as they roll in.) We’ve also talked at length about the factors you should consider before you plunk down your credit card. It’s a lot of information—but keeping it in mind can help you find a fantastic bed at a great price. Remember that there are lots of options out there. You’ll find a comfortable fit no matter your preferences and budget. But if you’re not sure where to start, we’d suggest Amerisleep’s AS3. This highly rated option consistently comes out as a customer favorite—so there’s a good chance it will meet your needs. It’s also made with quality materials to ensure optimal support and comfort. The regular $1,399 price tag is a terrific value year-round. But the current sale price of $1,119 practically makes it a steal. Of course, everyone has different preferences and budgets. You really can’t go wrong with the AS3. But if you want to explore your options, see what else is out there. Don’t just focus on the price tag. Factoring in all of these details will help you find a great bed at an even better price. Now, it’s time to get shopping! Do you have info on organic type mattresses?